i might get some stick for this but my personal opinion is that its high time tamiya designed some new models that we the tamiya fans actually like and want . re Release is all well and good but times have moved on in the rc world and i belive that in the long run tamiya will lose customers by just offering the same designs they did back in the 80's . Everyones money is tight these days , i for one dont see the point in shelling out for NIB cars that are not very good value for money in the first place let alone in 2011 . COME ON TAMIYA LIFT YOUR GAME . What do you have in mind? I think Tamiya are missing a short course truck, but other than that, they have a top car in every configuration I can think of. thats not really the point i am trying to make . its just that tamiya seem to just re use parts from other chassis and have not progressed in terms of the current market were speed is what the younger new to rc teens want . Tamiya are generally good quality but to my mind dated and it has to be said over priced . I think they maybe need to re think their marketing policy . Some recent releases ie the vaj are just plain ugly and to me a bit pointless . They certainly don't in the crawler market and with the TXT out of production they don't in the monster truck market either. Tamiya haven't really ever done what the other companies have - same way that Traxxas and HPI don't do what Tamiya does - why try to be another Traxxas when there's one already? As someone pointed out before, if you look at the 58400 range here; http://www.blackholesun.fr/RC_Tamiya58400_US.php there's a fair choice of chassis types to choose from and every company will try to re-use as many existing parts as possible before the expense of retooling etc - Traxxas 2wd trucks have had the same gearbox for as long as I can remember! The TXT was never really in the monster truck market, if you're comparing it to the EMaxx etc. it was too slow and handled poorly in comparison to the 'buggy' based speed machines. The TXT and the Clod have been unique for some time now in that they were the only trucks for a long time to represent true 'trucks' with live axles etc right up until HPI's Wheelie King, and even that was 2WD to start with. It's not possible to know how lucrative the "re-re" market is, but if it is, it will run and run because that, ultimately, it was drives the company to continue making them. If ready-to-run, zero-effort, instant speed is what youngsters want there are plenty of brands offering that out of the box. It seems to me that the R/C market is not all about attack, some of it is about fun, and part of that fun is in the build. I guess it's rather like pre-prepared food vs. cooking in the kitchen; It's easy to walk into Mickey D's, Olive Garden, Pizza Hut etc, hand over the money, and start consuming. Although doing it yourself at home is more expensive and often rough-and-ready, it's also "yours". It's for this reason that I find it strange to see Tamiya offering expert-build ready-to-run kits. The whole point of them, way back when, was that you made them yourself, and I'm not sure what changed! Tamiya make plenty of money from re-re and re-using parts across various existing/old models - why go to the cost of designing new models and moulds when you make shed loads of money from the existing range, especially when you can manufacture them at even lower coat in countries outside Japan. and have not progressed in terms of the current market were speed is what the younger new to rc teens want . What about the TRF201, TA06, DB01? So what is it your after that they don't do? I think Tamiya have a good mix of re re and new stuff. They are winning world championships in both on and off road. Forgot about that market as its not my thing. Apologies. Tamiya tried to release something new.... The Varja Ok it used old parts, but so does every Traxxas currently on the market. There was reference about Short Course trucks there. I was following the releases about the "Avante Truck" project and it was originally planned as a SCT project to be unveiled at Japan's biggest SCT event in July but Tamiya seem to have canned the plan and made a Wingdungflung eBay class thing out of it, probably because they were not committed to seeing the development through. I notice that it comes with a whopping 25t motor... Wow.. So competitive with the brushless and 3 cell lipo RTR's from China that I see in shops for $250 AUD and $50 on eBay. Go back a bit--- They replaced the stout and sturdy TL-01 that could be upgraded to a decent racer with the TT That can be upgraded to be heavier but still be slow. I don't think they have it any more. The world has moved on. What new designs have they come up with, outside of TRF and on road cars (which are souless compared to off roaders anyway*)? The DN-01 Poo Scoop or what ever it was called? I notice Stella has them in the clearance bin already. Honestly, I don't think they can make something truly new. I wish that they could prove me wrong. * Ok, I'll probably get hammered for that, but really once you put a full body on something it looses it's identity. It's not the same as a Wild One or a Super Champ... or a Wild Willy even. Not the Tamiyaishness. You might get the sub standard perfromance you expect from a Tamiya but a TA03 is just another chassis under a body. You can accept your Frog won't stick with a Losi or a Æ but the personality makes up for it if you are a Tamiya nut. It would be nice to see something new. I also now know that Traxxas are also just recycling parts, thanks everybody for pointing that out. I just think what brom was trying to get at is that rere's are nice and down right fun (read here HB2010, most fun for what I paid for it), but and here is where I understand what he's getting at, when do we see a totally new "WOW" design? A high liftish truck that doesn't have straight characterless chassis rails with a battery hanging out from it's belly. Or the current crop of super neat lexan shell cars sold with a TT-01 chassis. Bring out something new that will have the cult following in 30 years time like the Blazer, Hilux, Wild One, Mountaineer etc has now. We all know they can do it, so yes I agree, they must have something there that can be developed and sold in 10 000 fold. Their XB range makes a lot of sense because they sell in huge quantities here in South Africa. Of all the kits that we've sold in our shop I have build almost all of them for the clients. Doesn't matter if they can do it themselves or not, I've ended up building them. From Wranglers, Pajeros, Hummers, Hot Shots, Pumpkins, Boomerangs, Neo Falcons, etc etc. People are just used to being lazy and Tamiya is making money out of it, lots of it, if you ask me. I'd love to see Tamiya combine their r/c and modelling branches and give us some proper scale vehicles. If they got together and produced a decent WW2 era r/c Willis Jeep using live axles that would sell well. Make it 1/6 scale and there's already a huge market for it. Yes it'd be nice to see something new, but I think the only "gripe" I have that if they're going to do a re-re at least to it properly. Seems to be a lot of sloppiness in some of the recent re-re's and it's just not what we're used to from Tamiya. I would also agree that Tamiya aren't HPI or Traxxas and have their own niche, so why would they need to try and copy what someone else does, when what they already do they do quite well (for the most part)? One thing I miss in the actual Tamiya lineup is a more realistic looking lexan bodyshell for their modern 2WD/4WD buggies. The situation from my point of view: On the one hand, you have the rereleases of old offroad buggies with stunning shells, but rather poor performance. They are great for what they are, but you won't put them in the hands of younger newcomers to the R/C hobby. On the other hand, there are very good performing DT-02 and DF-03 buggies (and their TRF counterparts) with shells that look at least only a little bit better than the ugly lexan spaceships of competing R/C companies. But why doesn't Tamiya produce more realistic buggy shells, like they still do for their onroad lineup? I don't count the HB2010 and SR2011 in, as these re-re shells break easily not being made of lexan, aren't originally intended for the DT-02, and look more like toys. I would like to see lexan shells in Baja King/Champ-style, not something generic. Such a shell for the TRF201 (as optional part) would be nice if you are not fixed on pure racing. A bit like Kyosho and Losi are doing with their SCB's? Yes, exactly! This is what I meant! I thought realism is/was mainly what Tamiya stands for, and I hope there will be soon such great realistic looking buggies made by Tamiya again. the TRF fleet is updated (too) regularly and they issue latest hopups not long after 3rd parties commercialise theirs. Electric tourer is IFMAR WC, TRF201 & 511 hold their own on the track, 801s gone a bit quiet admittedly. M05, M06, FF03, TB03 & variants, TA05v2 & variants, TA06 - those all just in the past 3 yrs!! Which other RC factory has issued as many different chassis models in the same period?! 1. The chassis are either not up to the spec that other manufacturers offer on their cars for the same or lower prices. I was surprised to find out the RTR Kyosho Ultima DB was 189 euros in my LHS, which is in the average price range of RTR TT-01's (which range from 150 to 230 euros) - If I were to choose between those two, I'd definetely go for the car that has geometry straight from Kyosho´s competition buggy, the Ultima RB5, and features oil shocks, reinforced plastics, SC size and a 20T motor. With that in mind even I am making considerations to stop buying Tamiyas in the future, no matter how big a fan I am of the brand. 2. The RTR lineup is missing out on many popular things in the late years. There are no fast RTR combos on offer apart from the Levant, which is a real issue. There is still no 2.4Ghz available - I won't say they should ditch the old frequencies, but at least offer them both - the RTRs still use soft aluminium pinions which novices aren't aware about - resulting in damage early on. Many RTR's (mainly onroad) don't feature oil shocks, whereas everywhere else in the industry (apart from toy grade) oil shocks are the standard. 3. The parts and customer support is very bad in some countries. Tamiya is too easy or too loyal on their distributors (like the one in the Netherlands, that literally %*&%ed it up around here, and they went bankrupt eventually), and possibly also on their suppliers. I spoke to many RC enthusiasts about Tamiya, from racers to hobbyists and store owners, and the bad distribution in the Netherlands is the main reason stores don't stock Tamiya anymore or only very little, and why many people have switched to other brands. Looking at Tamiya's past, there is one unique selling point for their cars: Highly detailed shells and good overall looks. This has for years been a good reason to buy Tamiyas. However, other brands like HPI are doing a very decent job on it as well, and I feel that Tamiya is not really responding to the fact that they're losing that what made them unique. Yes, they switched to re-releases, and that makes them unique, but in the long term, the crowd that will buy a nostalgic design for more money than something modern will become increasingly smaller. They are turning themselves to a public that resembles a dying breed. And I doubt that putting new decal sets (or even bodies) on these old chassis' are a solution to this. I know people will say 'What about the TRF's' or 'Then have a look at the DB01, TA-06 etc.' - But the point remains the same - The spec is available for the same or lower price elsewhere - without a reduction in the durability. Plus, those chassis' lack the innovative features on them to make them stand out from the crowd, some chassis' are even copies of existing cars (TRF201=AEB4). They're solid cars, but being solid is not good enough. The only 'unique' chassis currently available (that I can think of) would be the FF03, and that is pointed to a niche market - nice! Yes, I know it's harsh, but my opinion unfortunately can't be brought in a mild way. Stop messing about Tamiya! The competition has changed, it's time to innovate and think less conservative! Its good to see that some agree with me but all opinions are equally valid . Overall i think Tamiya need to have a long hard look at the direction they are heading in . Quality and realisem are the foundations that Tamiya san built his company on . One wonders why this seems to have being lost on the bean counters . I suspect that there's not as much of a market for it as some of us would like to think. 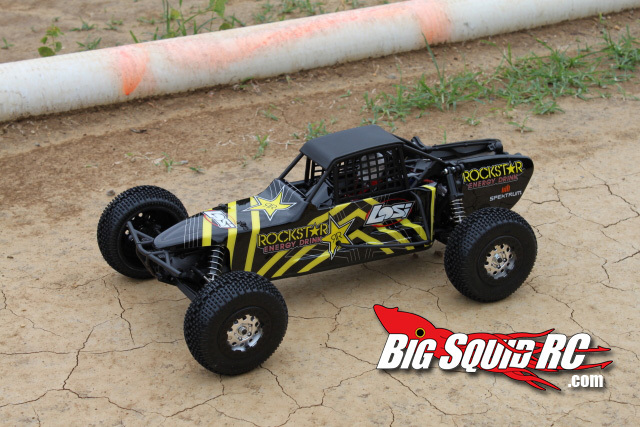 RC cars in general is a niche hobby and within that there are niche areas. I love the scale off road truck and crawler area of the hobby but much as I would like to think otherwise I can see that its not everyone's cup of tea and that particular area of the market must be pretty small. Tamiya have obviously decided for whatever reason not to pursue it aggressively. I've long thought Tamiya would do well releasing a really scale but modern looking off road buggy. I modern version of the SRB if you like but they obviously think otherwise. The area of the market that would care about that sort of thing and buy it is being satisfied with the re-re's, which cost sod all to develop, and the area of the market that couldn't give a toss about scale design are being satisfied with what's already being released. For me Tamiya is a company purely about nostalgia these days. I'm into the scale crawler area of the hobby and there are other companies doing kits way, way better than Tamiya's rather half hearted attempts. For those people here into the scale on road area of the hobby then Tamiya are obviously still the people to go to. Scale on road certainly seems to be Tamiya's speciality in 2011 looking at their current line up. They obviously know that's where the money is to be made. I have only been back in the Tamiya fold for the last couple of years, and although I like the new cars and chassis they have out there, I still prefer the older cars and buggies as they seem to have kept the style and character that we all love. Which ever model you had, there were always ways to improve or modify them, some that you had to do, (why supply plastic and brass bushes and those god awful alloy pinion gears Tamiya? ), and from there it was up to you with your own ingenuity and budget on how far you went. Look at what you could do with a TA01/02 chassis, SWB for the Porsche racer, standard length for just about every TC body going, LWB, wider stance and truck bodies, Hummer, Manta Ray series, you could pull bits from many different versions and create your own mutant cars and buggies on a whim. (Needed the alloy motor mounts though) Can you do this with the TT01? I think not. Alot of people didn't like the TB01, but more love it's bulletproof reliabiliy once you'd added the steering and motor mount upgrade. The DF03RA is a brilliant sibling to these, started life as a buggy, a few alterations and we have a rally car, stick on anti roll bars and shorter stiffer shocks and there's your touring cars, although this has issues with worn gears that need looking at. We all know the faults with the VLB's, Pumpkins and Clodbusters and that's why we love them so much, yet these are the few cars that they have never really changed unless they had to, lets see what the next incantations will look like. There is potential within the current range of cars and buggies, I think we forget that their main market they have to please is there home one, if they don't manage to sell in Japan then the rest of us are in big trouble. As long as they want the space age looks, that's what we will get. Oh, and if anyone in the Tamiya design studio are reading this, can I PLEASE have a DF03RA with a Subaru Legacy RS body on it. Thank you. Ive got mixed feelings about re-re's myself, i do love the fact i can buy and run the cars i used to want as a kid, so ive got a scorcher, hornet, lunchbox and brat to start me off, many more on the list. so yes i would like to see tamiya competing with other companies like axial, i would love to see a tamiya scx10, with tamiya's high quality bodies on a modern well thought out chassis. It seems to me that most of Tamiya's innovation and development is biased towards on-road. The only real off-road development seems to be the TRF buggies. Almost everything else seems to be re-re or re-hash (CR01 bodies on CC01 chassis etc). I like the re-re's, I've bought several and hope there will be more. But I think Tamiya could do more for off-road fans. A more scale body on a modern buggy chassis shouldn't be too difficult. Development of the 3-speeds, CC01 and CR01 could reap benefits, as could a simpler scale 4x4 chassis. I'd love to see a couple of new hard bodies too. I couldn't agree with original poster more. Having got fairly heavily back into the hobby in the last 5 years I've actually been pretty disappointed in their offerings. Having owned both the DF-02 and TT-01 I've found the design and manufacturing quality to be poor in terms of fit and materials in comparison with older models like the hotshot. On the DF02 it was very easy to break the chassis at the point the wishbones attach, and there is a multitude of sins in the design of the TT-01, not the least of which is the fact you can get torque steer with a well tuned 27 turn motor. I also recently bought a jagpdanther which had a bent upper hull due to it being distorted when it was removed from the mould. As others have said, there's no point in trying to copy the likes of traxxas by making an SCT. Tamiya missed the boat on that one, and would be better off looking for other avenues of revenue. I've said in other posts, and will repeat myself now, I think they could make a bucket of cash with a 1/10 scale 4wd tractor. People already modify and slow jeeps down to use a trail drivers, you can have great fun doing the same thing with a 4x4 tractor, which is designed to have excellent off road performance in the first place. Use a crawler motor with a 3 speed trans, and an appropriately moulded front and rear axle, and you have an awesome model. They would also be able to make trailers, ploughs, etc for them. Huge after sales potential. It would be kind of a cross over between the trucks / tanks, and trail vehicles. Good models to weather and beat up as well. Maybe make it 1/8 scale and you have a huge model with room to fit an MFU as well. Simple model to build apart from the rear axle. Like it so much I'm in the process of building one myself, but would happily buy 2 or 3 decent tamiya models to save me the trouble of building one myself. As someone else said, a 1/10 scale WWII willys jeep I think would also be a great seller. I also had great feedback from the members here when I posted pictures and video of the 4x4 lunchbox I built. If I can build something from scratch that people like I'm sure tamiya can show some imagination with the parts bin and come out with completely new models. The F350 Hi-Lift was a (fairly) recent hit, and that re-used minimal bit from the parts bin. Tamiya have shown they can make money from selling high cost models, they proved it with the trucks and the tanks. Now they need to show some courage and dive into a completely new area of model making not yet touched.